Radon Testing: Should the Mitigation Company Do the Testing? Should Radon Mitigation Companies Do Radon Testing? Is there a conflict of interest? Radon has been getting a lot of attention lately, and rightly so. Radon is the second leading cause of lung cancer, next to smoking, and it is estimated that it causes over 20,000 deaths a year. 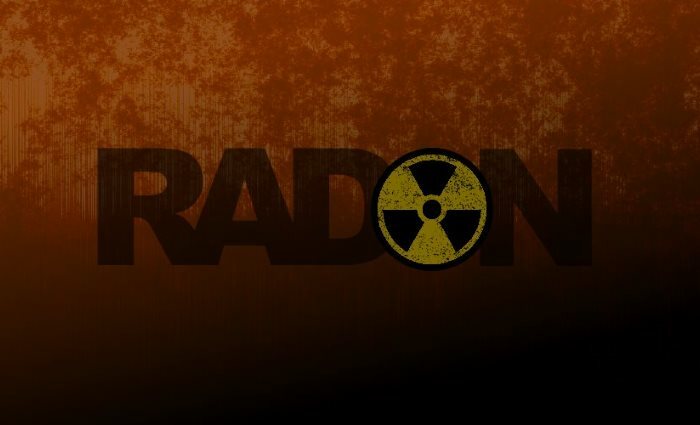 Radon occurs naturally and is caused by the breakdown of uranium in soil and rock and is prevalent in Northeastern Pennsylvania. Since Radon is odorless, colorless, and tasteless, the only way to know if your house has higher than acceptable Radon levels is to test for it. For more on why Radon is such a concern, see our previous story Radon: The Silent Danger. The US EPA guidelines state that, while there is no approved safe level of Radon, a home with average annual radon levels of 4.0 pCi/L or above should have a mitigation system installed to lower these levels. Further, they suggest that you should test your home every two years because geology is constantly changing. If you live in an area with high levels of construction or other changes in the environment, you may want to test more often. If you do have a system installed, you should have a post-test performed to ensure effectiveness of the install. We suggest you have the same person that does the original test do the post-test as well for consistency. Short-term tests are usually run for 2 to 4 days. These tests only give you a very quick snapshot of the Radon levels at the time of this test. Since the amount of radon in the home at any given time is affected by such things as barometric pressure, rain-soaked ground, strong winds, snow cover, the season, heating and air-conditioning use, and temperature, short term tests often result in inaccurate test results. For example, extremely high winds or fierce storms can raise the radon levels because they create a vacuum effect in the home and pull the radon through the foundation and into the home during the test resulting in a reading that would indicate an average annual radon level that is much higher than it actually is. As well a short term test during the winter when the home is being heated would generally result in a higher radon level due to the chimney effect of the heat rising through the house aiding in pulling radon from below into the building. It is estimated that approximately 40% of short term tests provide readings that are inconsistent with the annual average radon exposure in the home. Long-term tests are generally run for 91 days or longer. These tests are more accurate and can give you a better picture of your true Radon levels. If possible, a long term test should be conducted. Long-term tests are not always feasible however, especially in the case of Real Estate transactions. While long-term tests provide you with a more accurate annual average, they do not make short term tests invaluable. It is important to understand that the reason long-term tests provide a better idea of radon levels in the home, that is because high numbers that may greatly affect a short term test affect a long term test to a lesser degree. You are more likely to see your result go down with a long term test than up, making short term tests sufficient for real estate transactions. Testing can be done by the homeowner or by a professional. If you hire a professional to do the testing, as stated on the EPA website, "Pennsylvania law requires that all 3rd party persons performing radon testing, mitigation, or laboratory analysis in Pennsylvania be certified." Regardless of who performs the testing, they should be an independent party separate from and not associated with the Radon Mitigation Company. Should my Radon Mitigation Company do the testing? Although it may seem convenient to have the same company do both the testing and the mitigation, there is very good reason why they should not. It is to protect the consumer. We feel that doing both the testing and the remediation is a conflict of interest; it is like taking a test and grading it too. Radon testing can be manipulated to ensure an acceptable level was achieved. This can be done by putting the test too close to a window, in a drafty area or, by adding air flow to the room, among other things. Recognizing this conflict, the Pennsylvania DEP has draft regulation presently being formalized that acknowledges this conflict and barring the Radon Mitigation Firm from performing Radon Testing as well. Protect yourself and insist that a 3rd party test your home after a radon system installation. At Disaster Blaster, we are confident in our work and welcome 3rd party testing for all of our services, including Radon, Mold, and Asbestos. If you have any questions, please call our offices at 570-963-1123.